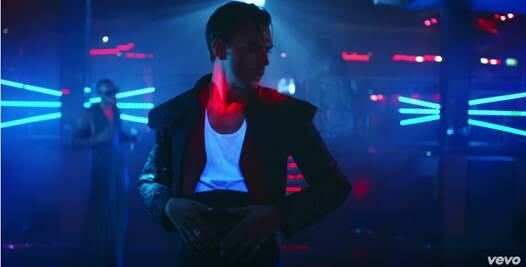 SnapCacklePop: Hurts drop epic new video for Lights..! Hurts drop epic new video for Lights..! British pop synth duo Hurts have dropped an EPIC new video for their latest single Lights. Following up lead single Some Kind Of Heaven of the duos third LP Surrender, this mid tempo disco pop tune comes with a video that needs to be watched. Directed by Dawn Shadforth, the clip starts off at a disco, seeing Theo Hutchcraft showing off some impressive moves to a blonde edgy party goer, however as the visually creative clip progresses, it takes a dramatic violent turn, followed by some synchronised dancing. We kid you not! Lights is the second single to be released of Surrender that is due out in October this year. Get your copy of the single on iTunes now..!